If you are a homeowner or property manager, the decision to hire a landscape company can be a tough one. Whether you are a single dwelling homeowner or a strata or residential building manager, the upkeep of your garden and lawn is an important aspect of the overall maintenance of your property. There are a lot of factors that can contribute to the health of your lawn, from soil and temperature changes to the use of the proper lawn maintenance tools.The experience level of the landscaping team is also essential to year-long lawn and garden maintenance. 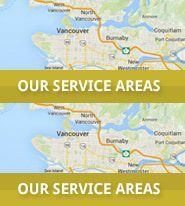 With 19 years of experience, Bur-Han’s team has years of combined experience, working year-round to prepare and maintain lawns in the Vancouver area and the Fraser Valley. With these considerations in mind, hiring a reputable landscape company can be a simple process. Before you sign on the dotted line, be sure to read this great checklist from LandscapingNetwork.com and Chad Robert called “10 Tips for Hiring a Landscape Professional”.